and the opportunity to talk one on one with one of our Sisters. 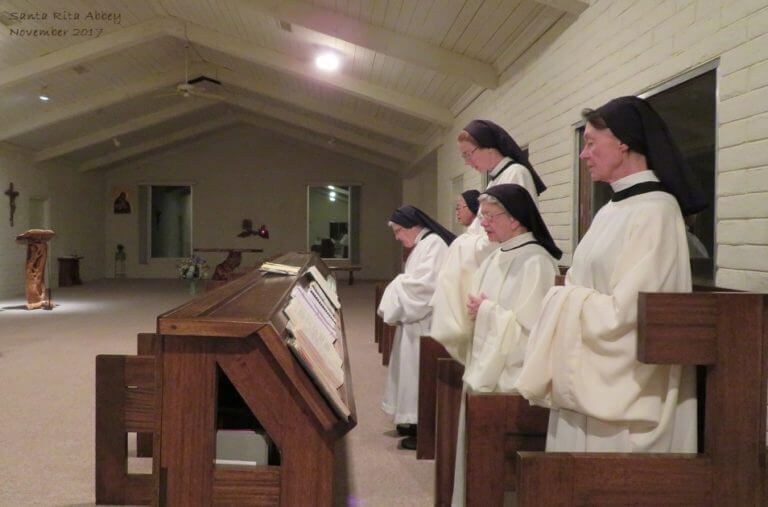 who are considering a vocation to contemplative religious life (consecrated life) in the Roman Catholic Church. or call 520-455-5595 during business hours. ask the vocation director about making an individual visit. "It has been an amazing and humbling experience to be able to see your lives of service and love for God ... It has been a huge learning experience for my personal prayer life and the way I view prayer." "I have never experienced anything like this before, but it has been incredible! I will forever hold it in my heart as a life-changing weekend." 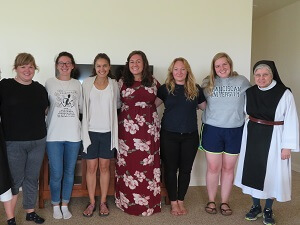 "Having been raised Catholic and gone to a Catholic college, I had heard about monastic life, but I wanted to see it to be able to understand it. It's like putting a face to a name. Now I want to spread the word of the beauty of this special vocation."